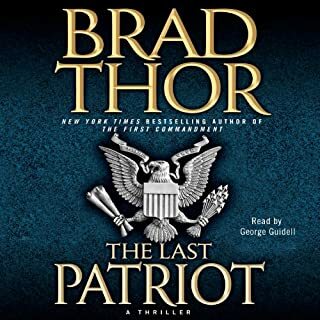 Would you listen to The Last Patriot again? Why? Probably not, because I am 75 years old and have too many more books to listen to, Brad Thor is on top of my list. What does George Guidall bring to the story that you wouldn’t experience if you just read the book? Cant do that not enough time but would like to. 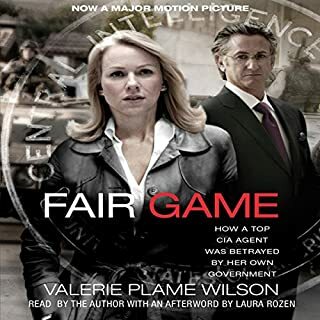 Valerie Wilson, the object of the "Plame" CIA leak case that resulted in the conviction of the vice-president's chief of staff, Scooter Libby, has spoken publicly only twice since she was outed in July 2003. Now she tells not only the real story behind the leak, but describes her life at the CIA and what happened when her cover was blown. I was interested in hearing her story but quit after 30 minutes, the words being bleeped out was annoying. Guess I might have to read it.